UFC 231 pay-per-view (PPV) event is set to go down tomorrow night Sat. (Dec. 8, 2018) from inside Scotiabank Arena in Toronto, Ontario, Canada. The event’s main headliner features a featherweight championship bout between division’s champion Max Holloway and rising contender Brian Ortega. While, in the co-main event former strawweight champion, Joanna Jedrzejczyk will take on a former-bantamweight title contender Valentina Shevchenko, for a vacant flyweight gold. Before any combatants can participate in tomorrow’s event, they all have to go through the scale to make weight. 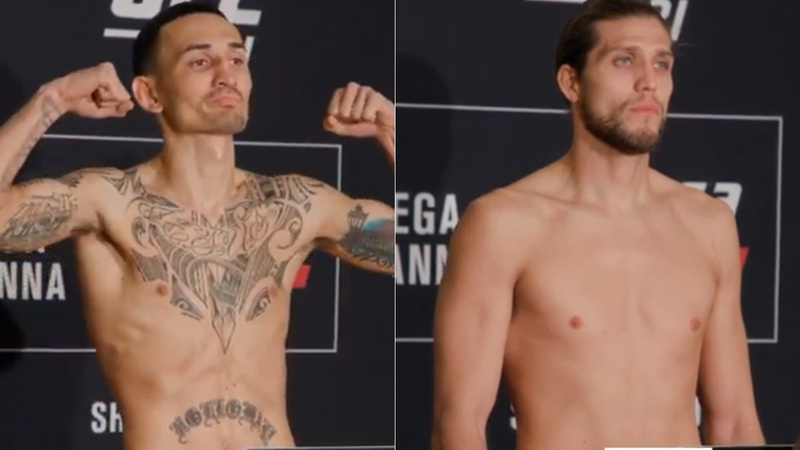 Hold on we got a good news here: The highly anticipated bout between two finest fighters is official as Holloway finally hits the 145-pound mark for his title bout against Brian Ortega by coming at 144.5. His challenger ‘T-City came in at 144.75 pounds. Previous articleKhabib Nurmagomedov Advises Female Fighters To “Finish Husbands At Home”!